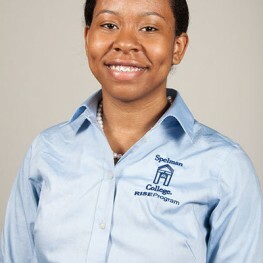 Tiara Lacey is a freshman Biology major & Spanish minor at Spelman College. Tiara conducts research during the academic year at Morehouse College under the mentorship of Dr. Chris Markham. Her current research focuses on determining the effects of Neuropeptide Y (NPY) on Conditional Defeat in Male Syrian Hamsters. In addition to conducting research at Morehouse College, Tiara has also conducted extensive literature proposals on the Warning Signs and Survival Techniques of School Shootings as well as on the Effects of Indirect Media Exposure. Through her research experiences, Tiara has found that her specific research interests include Neuroscience, Biology and Psychology. After graduating from Spelman College in 2018, Tiara plans on entering into a competitive M.D./Ph.D. program in either Bio-Psychology or Neuroscience. Her ultimate goal is to become a Neurologist who conducts clinical biomedical research.